As a startup marketer, spending my lunch break arguing with developers is not my favorite part of the job. I want to convince him that MailChimp ensures our email campaigns hit customers’ inboxes, not their spam folders. But he keeps beating me back with technical explanations I don’t fully get. Over the last years, MailChimp has built an iconic brand with its design-centric approach and unconventional marketing campaigns. 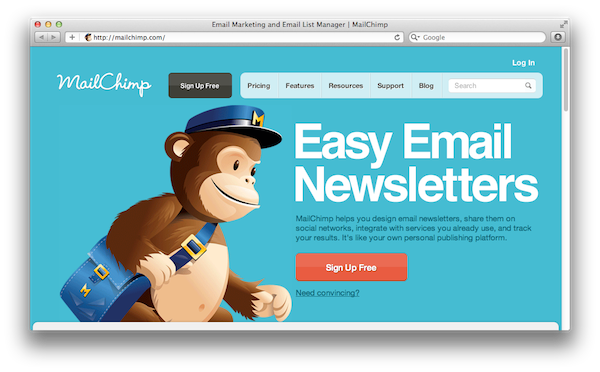 MailChimp’s giveaways were unconventional, too. Free monkey hats for cats were delighting their superfans like me who were ready to pay more. In a world where anyone can copy your product overnight, instead of knitting monkey hats for cats, MailChimp could very well have chosen to get into an arms race on building more features. After all, the company was even receiving open letters and warnings from some big customers threatening to shift to the competition if they didn’t build more advanced features. Focus on building a brand customers love. As we near the end of 2017, the email startup that never took a single dime in outside funding is preparing to close the year with a mind-blowing 15 million customers. But enough with the monkey business. You don’t have to disrupt an entire industry: While many entrepreneurs are busy trying to build the next Uber or Facebook, this is a myth we need to dispel. MailChimp didn’t disrupt any industry, yet it managed to build its monkey empire in a market that was becoming increasingly crowded. If you aren’t disrupting or creating an entirely new market, you can still build an empire in a highly competitive space: And it involves growing superfans who religiously follow your movement and spread the word about you even if you charge premium prices or refuse to get into an arms race on building more features. What is the secret, though? How do you reach the masses and grow your fan club that enables you to play the game by your own rules, without worrying about the competition? But a growing breed of thriving startups uses an alternative strategy — one that doesn’t necessarily require a design-centric approach. “Companies that successfully market and sell innovation are able to shift how people think not only about their product, but about themselves, the market, and the world. Take Drift, one of the rising stars in the tech scene today. Instead of forcing their product down people’s throats, the “movers” like Drift sell the underlying shift in thinking, the original insight that led to their innovation. 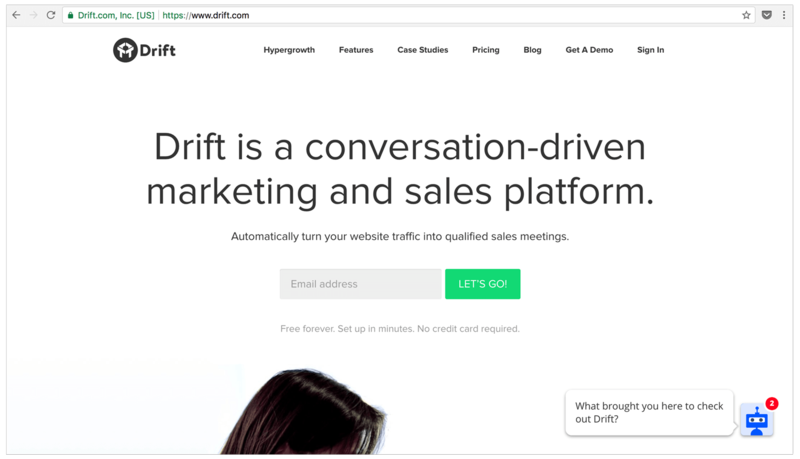 In Drift’s case, the original insight that led to their product was the old, broken way of marketing and sales that still relied on website forms and annoying sales follow-ups. 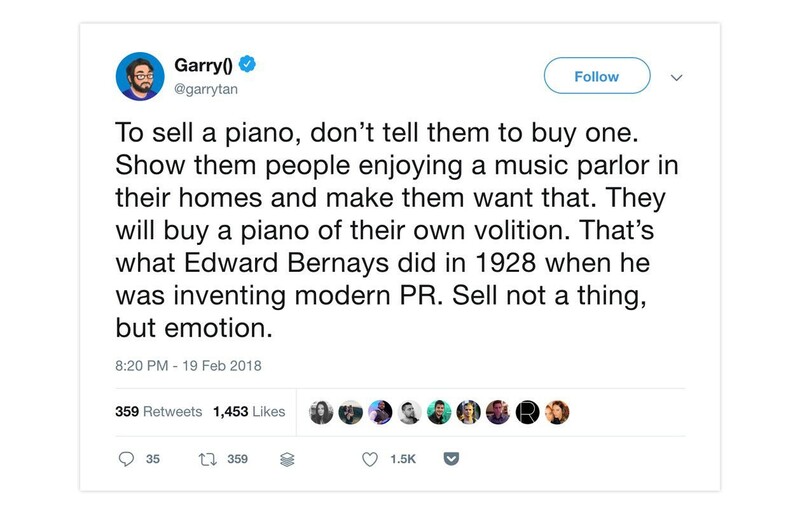 Thats why, instead of hard selling or flooding their blog with product info, they talk about how today’s marketing and sales techniques are so yesterday, or why marketing automation and email marketing are broken. “This is different than your value proposition. It’s an assumption (usually unconscious) about how the world works,” adds Bonchek. We champion [insert], and shift the way people think about [insert] to be [insert]. For instance, Drift champions the new way of marketing and sales, and shifts the way people think about marketing and sales to be more conversation-driven, personalized, and human. Two other iconic companies — Basecamp and Salesforce — are also leading the way in rethinking existing mental models. Basecamp’s founders grow their superfans by championing the “Un-Silicon Valley way” and shifting how people think about management, productivity, time, growth, or the way startups work. Salesforce champions the “no software” mantra and shifts the thinking from packaged, installed software to cloud computing and software-as-a-service. Changing people’s current mental model doesn’t happen overnight. Rather, you will need a sustainable engine that shows people the new mental model in different contexts and situations, over and over again. Their “Seeking Wisdom” podcast, where they spread their message through audio conversations. 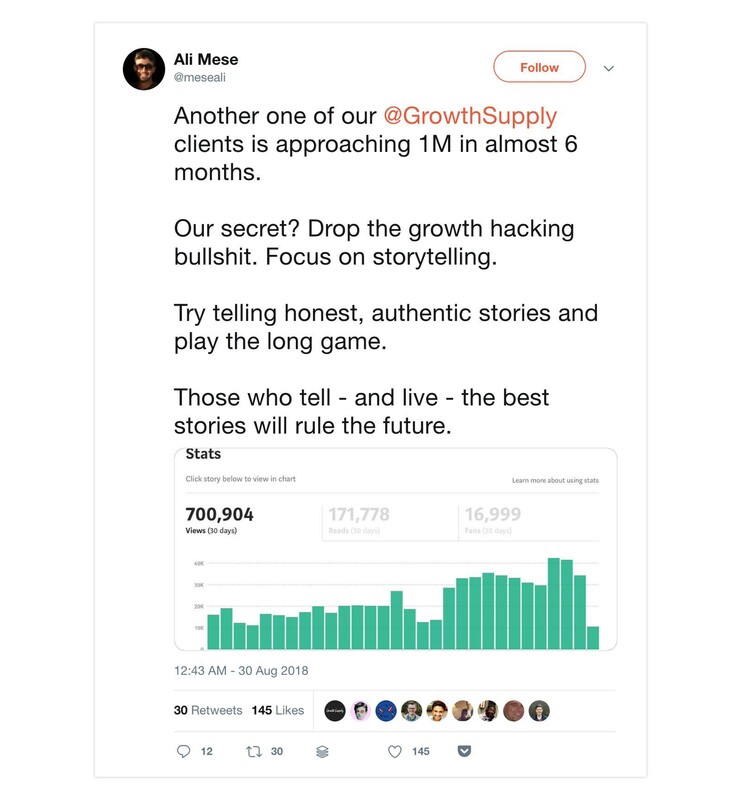 Like Drift, Basecamp’s founders build a multi-channel engine that helps them reach new pockets of people through their best-selling books like ‘Rework’, their popular blog, and podcasts. Building an engine to educate people on the new way of thinking isn’t reserved for startups, though. Spaces like SaaS are becoming increasingly competitive, where companies feel they are almost selling a commodity or that their product could be copied overnight. That’s why, in today’s most cluttered marketplace in history, building a movement is more important than ever. Build it the MailChimp way, the Drift way, or your way. No matter what route you take, there is one element that is consistent across businesses that distinguish themselves: being true to yourself. “We believe the best way to build relationships with customers is to be yourself. For Drift, it means hosting an honest chat between their CMO and CEO. While the world is full of podcasts that pretend to look professional, Drift’s informal podcast style is one of the reasons that “Seeking Wisdom” has legions of loyal fans. And it’s good for business. Don’t build a startup, build a movement — right from day one. And if you do it right, super fans like me might voluntarily spend their lunch breaks arguing on behalf of your awesome solution.